I just finished my latex bird mask! This was one of the projects for Mask Making class. 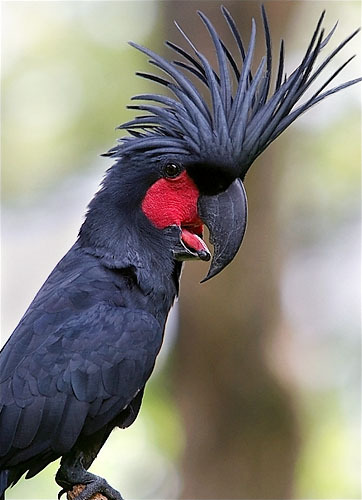 The mask is a Palm Cockatoo. To create the mask, a mold of my face was created and a plaster cast made. The bird face was sculpted on top of the plaster cast and a mold plaster mold created. 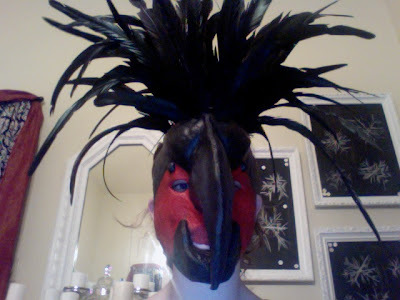 Latex was then poured into the bird mold to create this mask. Once the latex cured it was removed from the mold, cleaned up, and painted with a mixture of acrylic paint and liquid latex. Feathers were then inserted into the latex. An elastic strap holds the mask on the head. 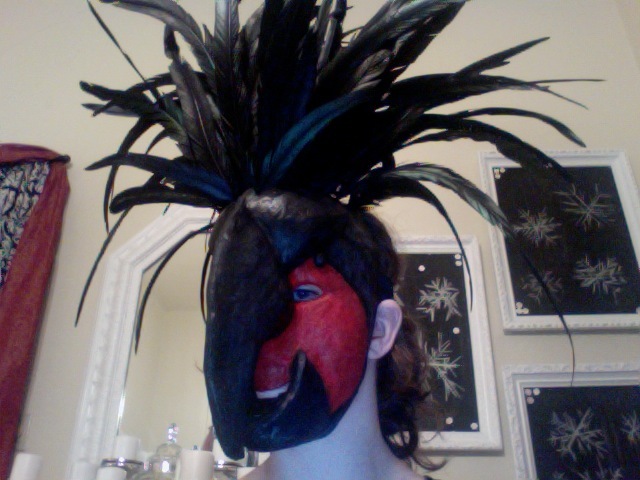 I am also in the process of creating a paper mache mask and a mask from thermoformable material covered in leather. Neat! That is one class my MFA program didn't offer (I'm not sure we would have had time for it), but I learned a little about it along the way. It's pretty interesting, and really a separate set of skills and knowledge from so many other construction related things. Love your inspiration bird!